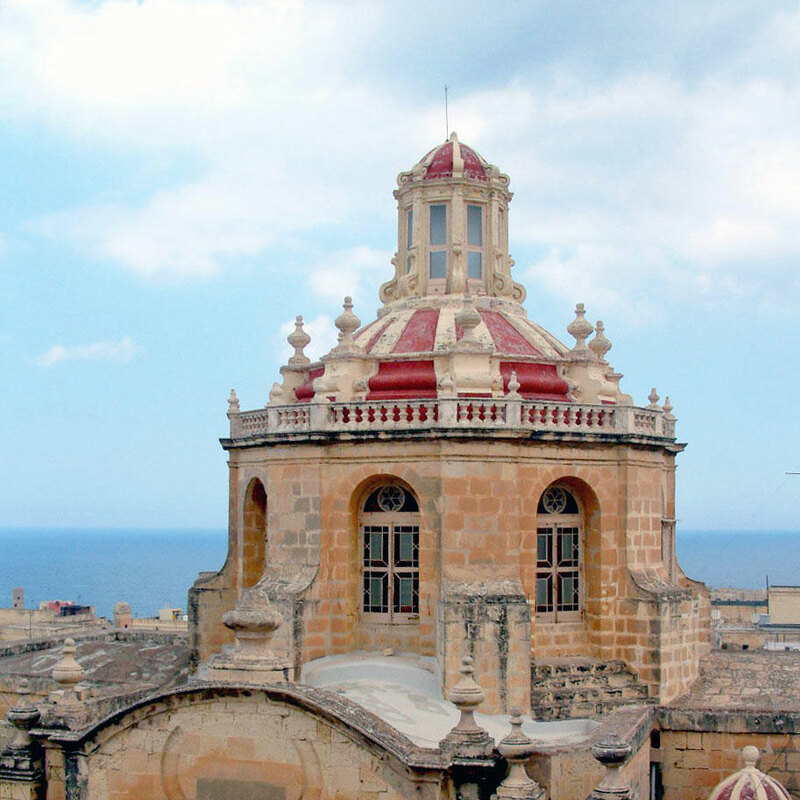 St Dominic Church, also known as the Church of Our Lady of Porto Salvo, was built in 1804. It was designed by the architect Antonio Cachia. 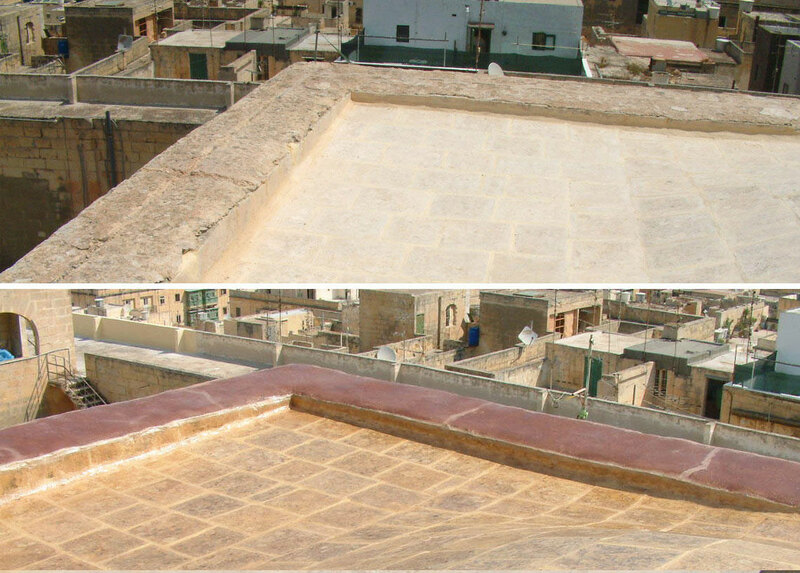 Restoration works carried out on the roof involved the reinstatement of the present waterproofing layer. The roof surfaces were cleaned from loose debris and cement rendering, and biocide was applied to prevent biological growth. A layer of impermeable polyurethane elastic transparent protective compound, which is also resistant to abrasion and UV rays, was installed on the roof. 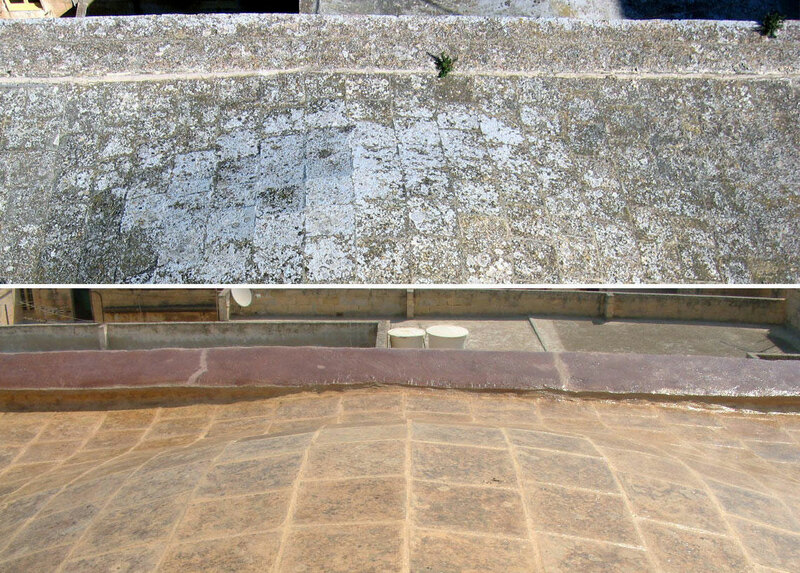 Cracks present in the deffun copertina on the parapet wall were filled with cocciopesto in order to achieve flush level.